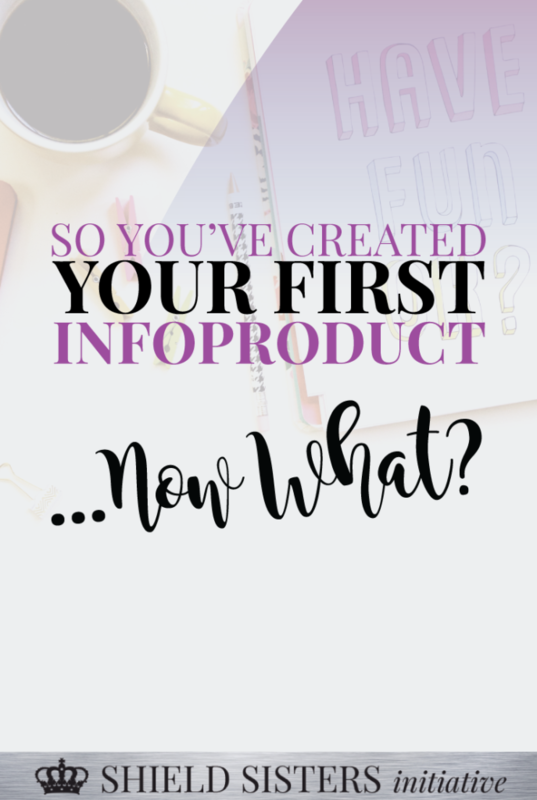 You’ve Created Your First Infoproduct: Now What? Good for you!! Congratulations! If I had one of those little confetti poppers I’d pop it over your head so that it got stuck in your hair. You might be wondering, “Now what?” And that’s what this post is all about. 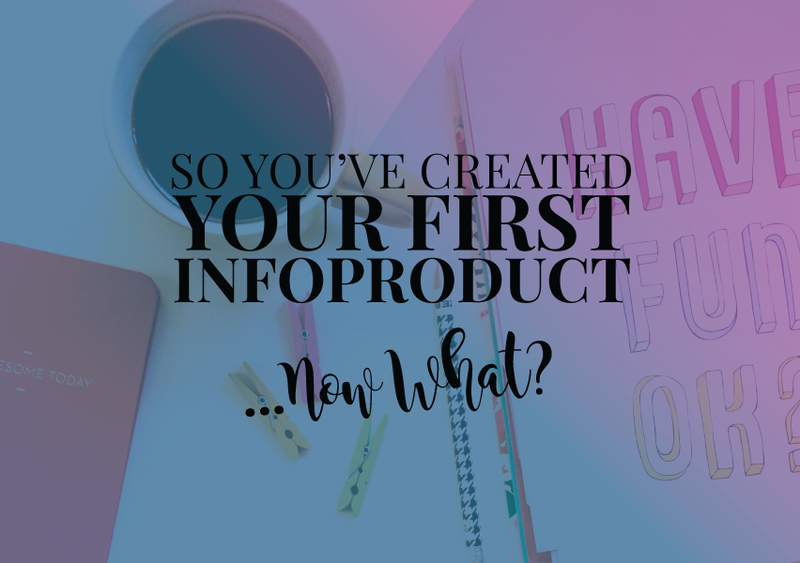 We’re going to talk about your first infoproduct and what to ACTUALLY do after creating it. Everyone preaches about how you need them (and I agree; I have my own soapbox about infoproducts!) but nobody talks much about what to do AFTER you’ve create your first infoproduct. Here is a step by step launch process written out just for YOU so that you can amplify your reach and get your product SEEN. First of all, you need to set up your priorities. It’s time to freaking launch this puppy that you’ve spent SO MUCH TIME on. What Facebook groups are you going to be present in? Don’t put “all of them” or you’ll be mega overwhelmed. Be specific. Are you hard launching or soft launching? Don’t know the difference? Hard launching simply means you’re going to GO GO GO for the next couple of weeks. PROMO PROMO PROMO SALES SALES SALES. Soft launch basically means you’re going to build awareness around your product by mentioning it when it’s relevant, maybe sending a couple of emails to your list, etc. but you aren’t going nuts with the promotions. I will be primarily focusing on soft launching, since not everybody loves a hard launch. Soft launching is also more about making genuine connections with people over sales, sales, sales. How LONG will you be promoting? You don’t actually want to promote your product 100% of the time. Decide on a reasonable schedule and then make sure to pencil it into a physical calendar so you can see what you’re doing at a glance. This is a fairly doable schedule: strong promotions (3x daily on Twitter, 1x daily on Facebook, and every other day on Insta) for the first week, mention 1x daily Twitter and every other day on Facebook (plus occasionally on Insta, maybe 2x) during the second week, and the third and fourth weeks will be as-needed or as-wanted. This is a really important part of your launch. 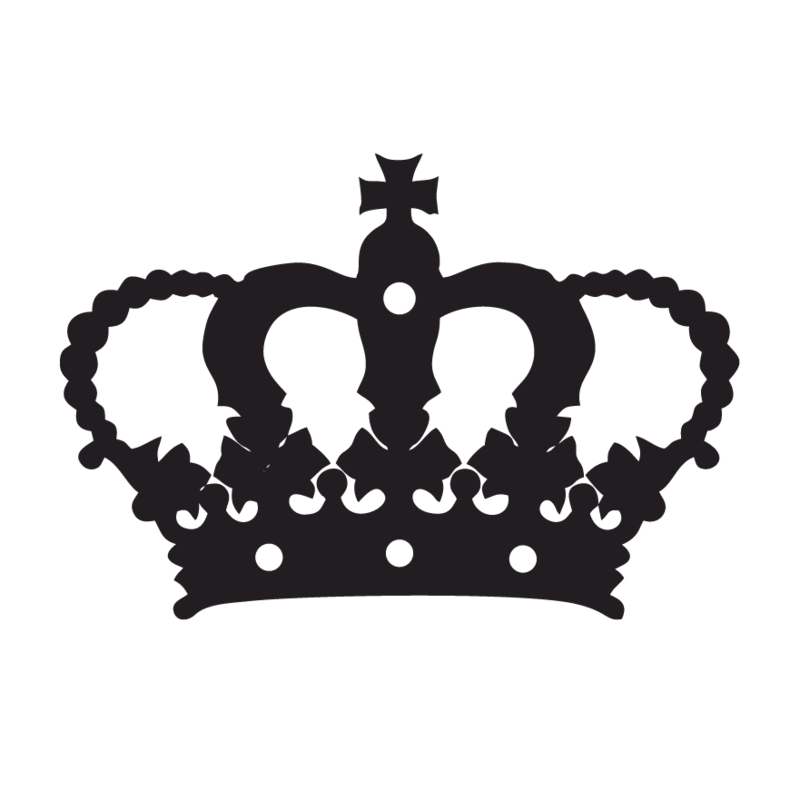 Decide right now whether you’ll be spending money on your launch or not. I have a launch coming up soon and I’ve set aside some money for the past couple of months to apply to the ads. This will be the first time I’ve ever used paid advertising, though, so don’t think you NEED money to make this work! Here are some expert tips from my personal experience that I think will really help you BEFORE you get started on your launch. Have some friends that will be more than willing to promote your launch beside you, or at least mention you occasionally. Write copy for your friends to share. Create a warehouse of sorts that they can access to copy and paste your promotions. It tends to be more effective than asking them to talk about the product themselves, since they likely haven’t seen it personally. Create OPTIMIZED images for each of your social media platforms. This is a good reference for you. SHARE YOUR INFOPRODUCT IN THE COMMENTS!